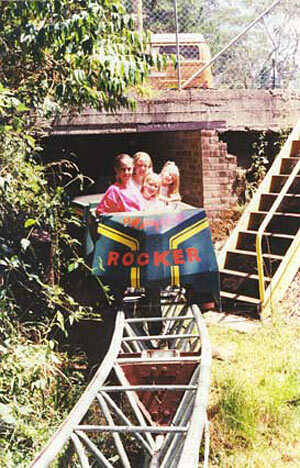 Yes, the solution of Quiz #21 is the roller coaster “Orphan Rocker” in Katoomba, Australia. 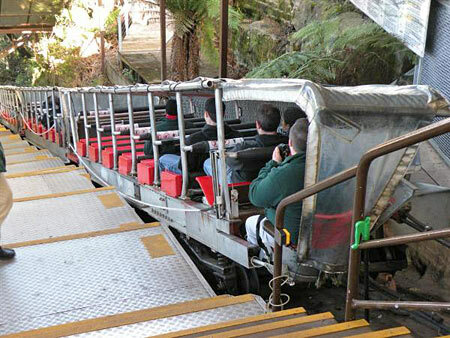 This roller coaster was built in 1982 by Harry and Philip Hammon, original owners of the Scenic World of Katoomba. This roller coaster was never been opened to the public! The project started as a monorail ride but soon evolved into the first Australian designed and built roller-coaster. It was named after a nearby rock formation, Orphan Rock. 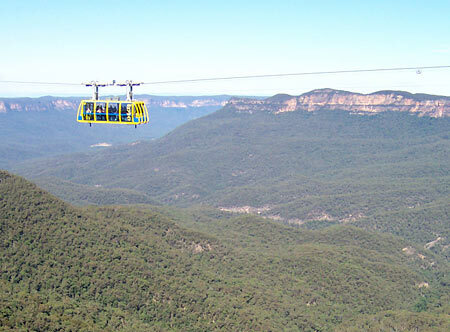 The “Scenic World” has 3 attractions: the Scenic Railway, the Scenic Skyway and the Scenic Cableway. 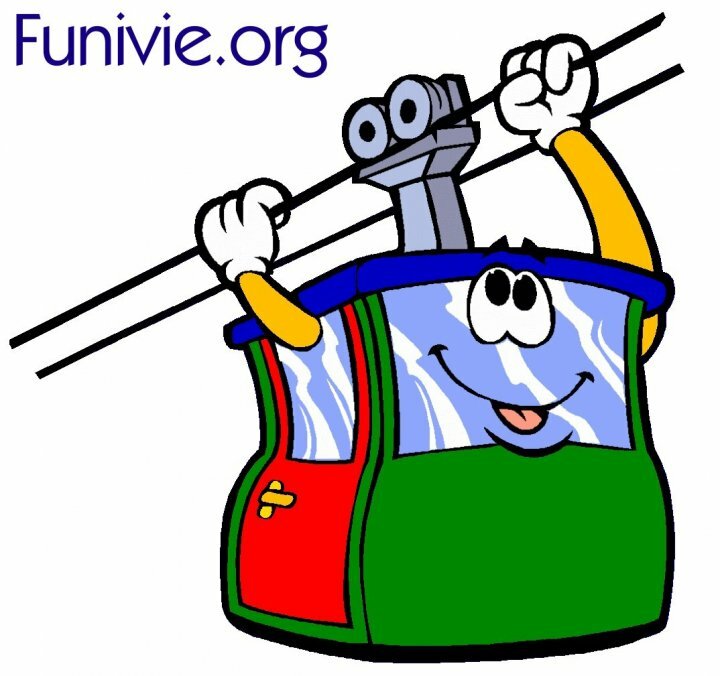 The Scenic Railway is a funicular (415m length, 206m of difference of levels) which has a 52° angle slope which corresponds to 128% maximum gradient (the steepest incline in the world)! 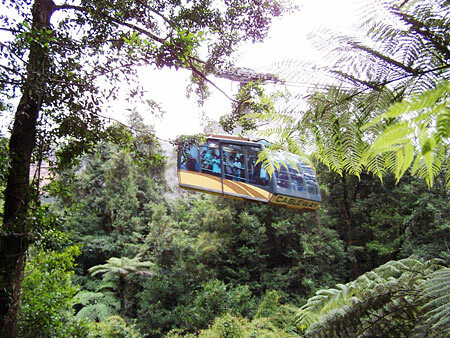 The Scenic Skyway is a one cabin horizontal cable airway, 720m length, 270m above ancient ravines and waterfalls. 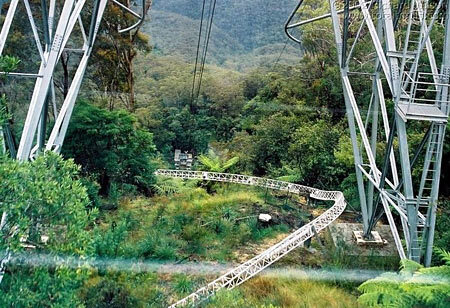 The Scenic cableway is 545m sloping ride into the World Heritage-listed rain forest of the Jamison Valley. Funimag > Pourquoi this Roller Coaster n’était-il jamais opened to the public? Andreas> La légende dit que lors d’essais une voiture aurait basculé dans le vide à l’endroit où le roller coaster décrit une boucle au bord d’une falaise de 200 mètres de haut! Mais ce n’est qu’une légende… la réalité serait plus pragmatique… des difficultés de conception car c’est une attractraction conçue par les propriétaires du parc d’attraction sans intervention d’un professionnel des roller coasters… de multiples modifications et adaptations au fil des années… une moindre priorité par rapport aux autres attractions du parc… L’Orphan Rocker n’est pas abandonné… il est toujours en travaux avec de nombreuses modifications et améliorations. Waou! impressionnant le changement de pente du funiculaire sur la photo! Et sur la photo de la station, on dirait qu’il y a 3 voitures? Comment cela se fait-il? c’est une “rame” de composée pas 3 caisses? si tel est le cas, ça fait une sacrée longueur! Sébastien> Oui effectivement il s’agit d’une rame de trois voitures pouvant transporter chacune 28 passagers soit au total 84 passagers plus le ‘conducteur’ qui se trouve à l’arrière de la dernière voiture. 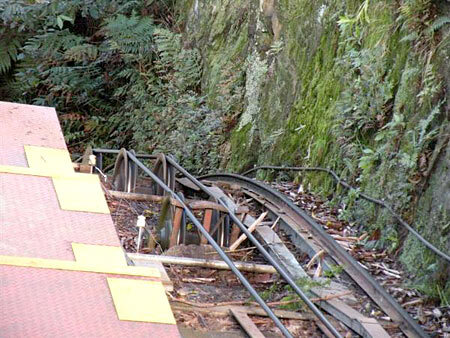 What company manufactured the funicular at Scenic World in Australia? The funiclar at Katoomba was built approx 1878/9 & was used for coal shale transport from mines in the valley below Katoomba to a rail head for delivery to Sydney. In the 1920’s bush walkers were using the cable haulage for transport in & out of the valley. In 1945Hammond’s leased the orginal mine sites & railway & started to turn it into a tourist attraction.It is still in the same family hands & a popular well known for holiday visitors.The carriage was built in the companys workshops& has seen many upgrades over the years. The Orphan Rocker was built in the early 1980’s & has seen a few private runs for family & friends but has never been opened for public use. Tests were carried out for licencing purposes for public usage & were a failure with 1 fully loaded car ending up in the valley below. The pictures above were test runs with light loading & were successful at the time. There are plans for major modifications to be made so that it can have public usage. Thank you Tom for these precise informations ! The Orphan Rocker wasn’t a failure and has never crashed or ended up in the valley. These are all rumors that have been banded around to make sense of the prolonged build time and the fact that it has never opened to the public. The truth in the matter is that it is physically impossible for these cars to come off the track because of the banks in the turns and gravity. The reasons for the roller coaster never opening is because they were never approved by the local roller coaster standards that were still being drafted as this roller coaster were being built and the engineering and build had to be changed many times to adhere to these standards. One of the other issues that have been reported is the inability to get the correct insurance. This has been rumored that the cost would be more than scenic world could make from opening the ride to the public. There is still no date for an opening and the ride needs to be reevaluated by the Australian standards again.